Springtime is not when property owners typically worry about a winter storm, but it should be. Weather in the spring is chaotic, and it goes quickly from warm to cold. While the worry over heavy snowfalls may dwindle, the concern over frozen pipes and water damage increase because of the thaw caused by these drastic temperature fluctuations. Most storm damage comes as a result of leaks and cracks in the structure of the building. Therefore, to prevent most issues related to the spring thaw, you can inspect your facility. Look along the foundation, windows, doors, the basement and the attic. Find any areas that are damp or show signs of moisture and seal them. Also, if there is significant snow buildup from the last winter storm, then it may be beneficial to check the weather stripping around windows and doors. If the stripping is old or missing, then during the thaw your property will likely flood. Though it is tempting to turn on your exterior plumbing at the first sign of spring, fundamental disaster restoration and preparation guidelines suggest that it is better to wait until after the initial thaw, which is sometime between March and the beginning of April. If you turn your sprinklers on too early, you risk the lines freezing and possibly bursting. Before turning on any exterior fixtures, it is wise to contact a plumbing specialist in the Pine Point, ME, area and request an inspection. Spring inspections ensure that there is no significant damage to your plumbing and that you can safely use it without risking costly repairs. True, a winter storm happens in the winter and often during frigid temperatures, but the spring may be more volatile in terms of temperature fluctuations. 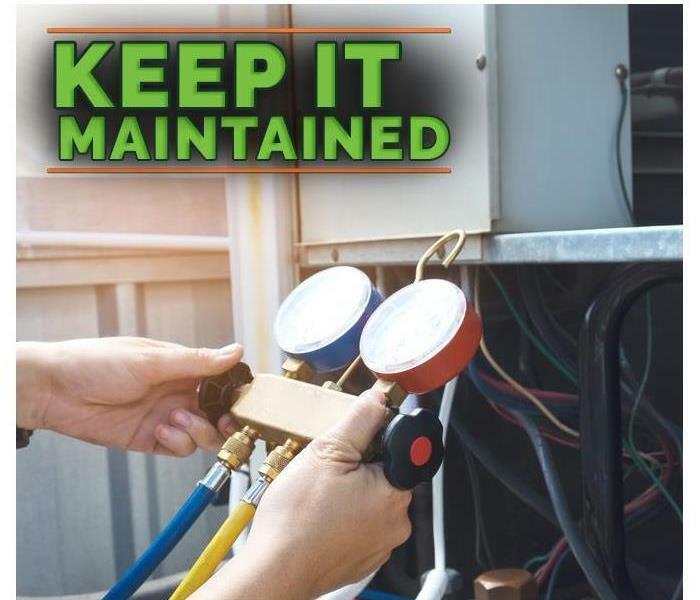 Therefore, to protect your system and your warehouse, check for leaks, replace weather stripping, and call for inspections before returning to regular use. Mold can grow very quickly, get help from SERVPRO. When a pipe bursts in your building in Eight Corners, ME, fixing the pipe and getting everything dry are probably among your top priorities. One of the reasons it’s so crucial to do these things quickly is that mold can start to form within as little as 24 hours of the first signs of water damage. Here are some quick steps to take to make sure you beat the countdown to a mold problem. Limiting the amount of water present can significantly reduce the water damage, thereby helping to prevent the formation of mold patches. A large amount of water spilling into your building is sure to create a spike in the humidity levels in the air. This can contribute to mold growth. Therefore, it’s a good idea to increase air flow temporary to help dry things out a little. If opening windows is not an option, try using dehumidifiers or industrial fans to keep humidity under 50%. The most effective mold prevention strategy is fast remediation. Call water mitigation experts as soon as you know you need cleanup. That way, they can get to your building, assess the problem, remove the materials that can’t be saved and restore the rest. Don’t wait to hear from your insurance company before you start the repair process. As long as you document everything well, your provider will likely be glad you took the initiative to start remediation quickly. Mold can start to grow where there is excess water within a day. To prevent secondary damage such as fungus growth, address water damage as quickly as possible. SERVPRO is certified with the IICRC for water, fire, and mold damage. In the restoration industry, there are many businesses that claim to be restoration experts. That is why choosing the right vendor for your insured client is just not as easy as it appears. Whether your client needs help after a flood, fire, hurricane or winter storm, there are numerous listings in Scarborough, ME, professing their expertise. To alleviate the problem of blind choice, a knowledgeable insurance agent has a list of preferred vendors for almost any disaster scenario he or she may run into. To make sure your vendor is qualified, make sure the company meets these three qualifications. You want your preferred vendor to possess the necessary skills, abilities and knowledge to handle an emergency and still deal thoughtfully with your client. Knowing how emergency restoration and remediation companies work is also important. 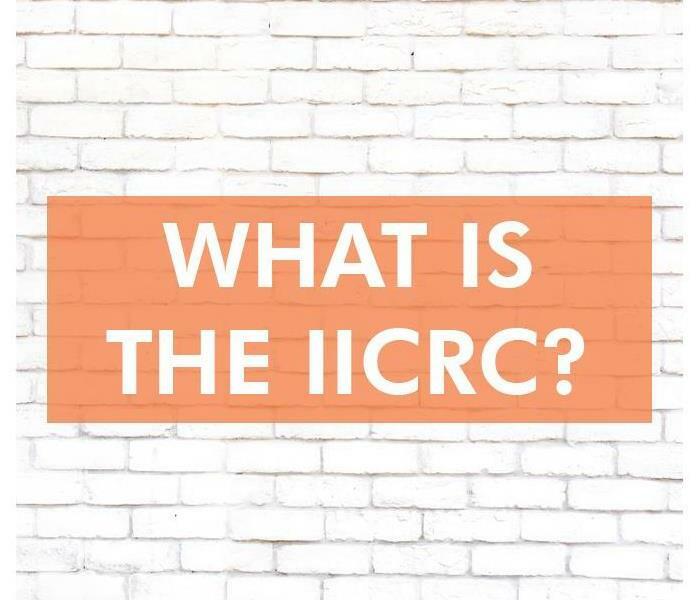 When the technicians are certified by an IICRC training program, you can be assured they have the skills to complete the job with the most modern equipment available, and in a timely manner. Using a specially designed computer program, SERVPRO technicians can keep track as they complete their repairs, remediation and restoration. The program also allows the client, contractor and your home office access to the claim, so every individual has the most up-to-date information. The ReportER program can help you as an insurance agent because it provides all the information you need on each claim, and that why insurance companies prefer to keep SERVPRO on their preferred vendor program list. At the heart of any service industry is the service technician. The way your insured clients are handled can be important to your continuing business relationship, so when you hire a company to help your clients you want to be able to trust the technician’s ethics, liability, and background. As an insurance agent, you need a list of preferred vendors. When a disaster strikes one of your insured, you know you can trust the companies on your list to clean and restore the property as quickly as possible. Not all floods come in large waves that add a foot of water onto the floor of your home. In fact, most homeowners’ complaints to insurance companies are about broken pipes doing water damage in their residence. To help you deal with the cleanup after water spills into your home in South Portland, ME, here are five tips. 1. Before stepping into the water, make sure the electricity breaker and gas meter are turned off. This can prevent severe damage to you and your items. 2. Locate the source of the leak. If you can, stop the leak by closing the nearby valve, otherwise, turn the main water line off. This sometimes requires a specialty tool, so notify the water company if needed. 3. Call in a water damage restoration and remediation company for help in removing the r water and assessing the situation. They are experts in knowing what to look for and where to find hidden damage. 4. If the leak was inside a wall, ceiling or floor, prepare yourself for a tear-out. This means the experts may have to remove a portion of the area surrounding the leak in order to make sure the structure is safe in the future. 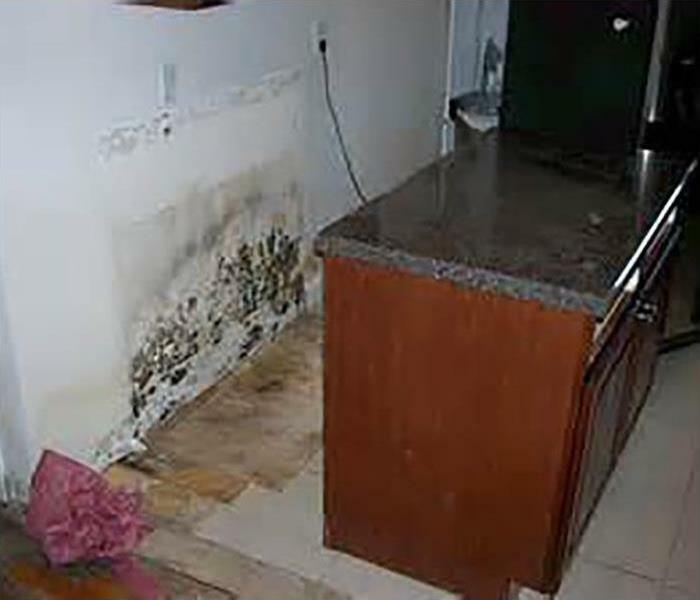 Water can not only harm the construction of your home, but it can also invite mold growth. 5. Have the water restoration team document their efforts for the insurance company. If they are unable, take your own photos of the area and all articles removed from the area. If you are using video, verbally note the condition of the items and when you purchased them. These are only five of the many steps you can take to help mitigate the water damage after a flood of any type in your home. Water cleanup doesn’t have to be debilitating or cause you panic. Let the experts help you rectify the situation with their knowledge and expertise. If you find mold, don't hesitate to contact SERVPRO of South Portland. Discovering that you need professional mold remediation in your home is not a welcome revelation. In addition to giving off an unpleasant odor and diminishing your home's air quality, a mold problem can also be expensive to fix. There are several factors that affect how much mold removal will cost. Costs for inspections can vary widely up to several hundred dollars. Some inspectors charge separately for each sample taken, which is an important thing to know from the start so you can figure it into your overall costs. The biggest determining factor in the cost of mold removal is the extent of the damage. A small patch of mold on one wall is going to be much less expensive to remedy than a mold problem in your air ducts that has spread throughout your home. Your cost could be as little as $500 or as much as $30,000 or more. The price of each job depends on how hard it is to get to the mold and how pervasive the problem is. Sometimes, your insurance covers black mold removal. If the growth is secondary damage resulting from another problem covered by your policy, it may be covered as well, helping you avoid some of the out-of-pocket costs. If, on the other hand, the problem results from flooding, an ongoing maintenance issue or neglect, you probably will have to cover the cost yourself. Inspection, extent of the damage and your insurance coverage all play a role in how much your mold removal in South Portland, ME, will ultimately cost. Knowing how much the total bill will be at the beginning of the process can help you plan accordingly. SERVPRO is A Great Choice! No matter what the emergency is, SERVPRO is a great choice. They show up Faster to Any Size Disaster and provide the help your client needs to get their South Portland,ME , home back in order. Here are a few reasons to choose them when you need repairs done quickly. There are many situations in which your clients may experience damage to their home. Whether the building has been affected by a fire, a burst pipe or a natural disaster, addressing the situation as soon as possible is important. 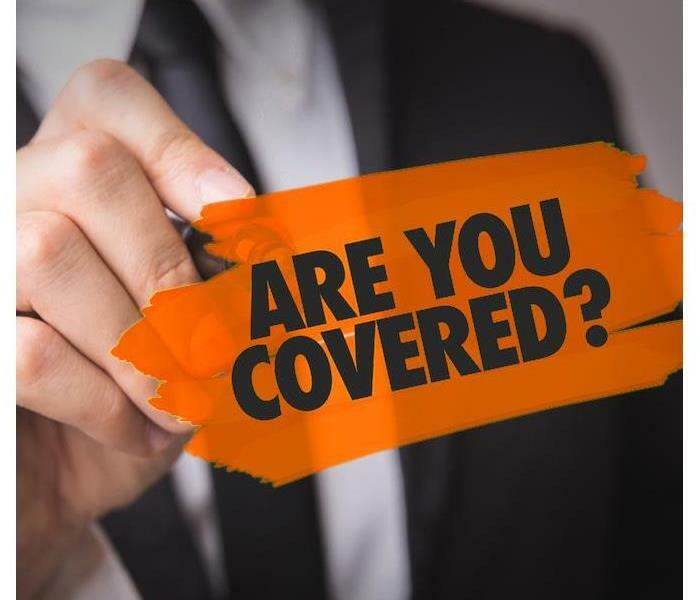 Not only will SERVPRO take steps to prevent any further damage, but they can also provide a professional assessment to assist your client in filing their insurance claim. Once the home has been inspected, they can get repairs done in a timely and cost-effective way. When your client needs repairs, you want to use a company that does their job right. Having repairs done incorrectly will be more costly in the long run. 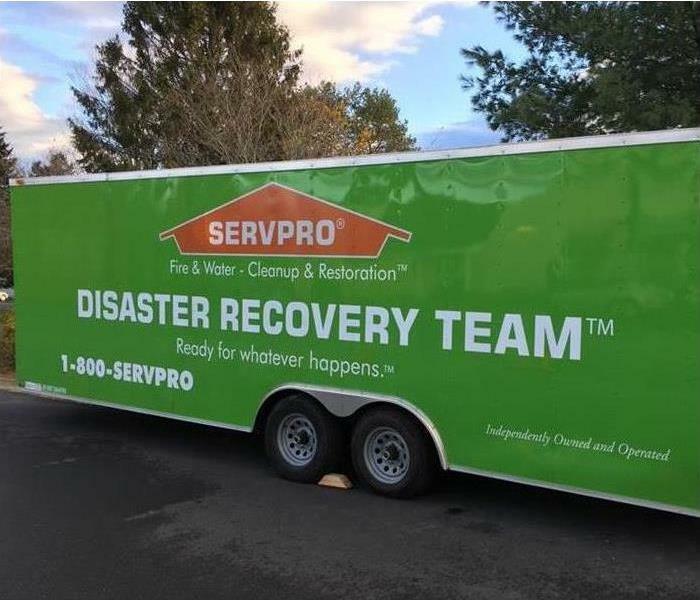 As well as being Faster to Any Size Disaster, SERVPRO also uses trained professionals who have the skill and experience to get any damaged home back to its previous state as soon as possible. With the necessary equipment, they will have your client’s home looking great again in no time. Another reason to use SERVPRO is that they are a locally owned franchise. As such, they take pride in their communities and work hard to serve them. Because they have over 1,700 franchises across the country, it is easy for them to respond quickly during an emergency. When you are in need of a professional restoration service, call on the one that is Faster to Any Size Disaster. No matter what kind of damage has occurred, they will get the job done right and done fast. Mold Damage in a Downtown South Portland home. Most people don’t understand the science of mold damage. In fact, the worst thing any home or business owner can do after finding mold in the home or commercial mold damage is attempt the mold removal process on their own. There are monetary risks involved with DIY mold removal or simply ignoring the problem by assuming it doesn’t look like black mold so it must not be a problem. A professional restoration company has all the right equipment. Not all mold growth is visible, and not all mold damage is simple. What might appear to be nothing more than little mildew, dry rot, or even fungus might be a small sign of the much bigger issue of mold growth behind walls. Is there a smelly odor? Does deodorization do nothing but mask the unpleasant smelly odor for a short time? Are multiple methods of deodorization failing to handle the smelly odor? If any of these questions has a yes answer, mold growth behind the walls might be a the problem. Whether it’s black mold or not, no one should attempt to handle or remove commercial mold damage or mold in the home without the help of a restoration company specializing in mitigation and remediation services. 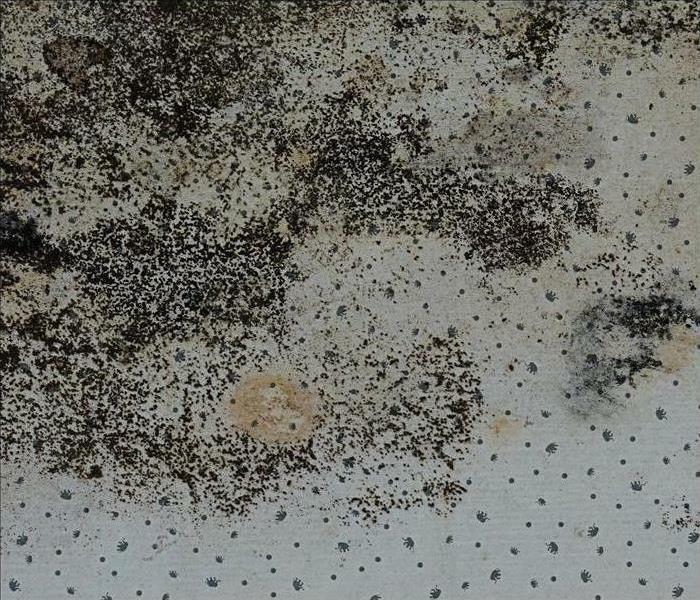 The benefits of using a professional restoration company include finding the source of mold growth and correctly identifying potential black mold. Mold grows fast, and using the right equipment prevents future growth. It also identifies black mold, and it can handle that smelly odor with professional deodorization guaranteed to make the home or office smell better in no time. Mitigation and remediation are helpful to anyone who has mold growth at home or work. Knowing the signs is key. If there is mold growth behind walls, it’s the smelly odor that might give it away. However, dry rot, mildew, and any fungus could indicate mold in the home or commercial mold damage. 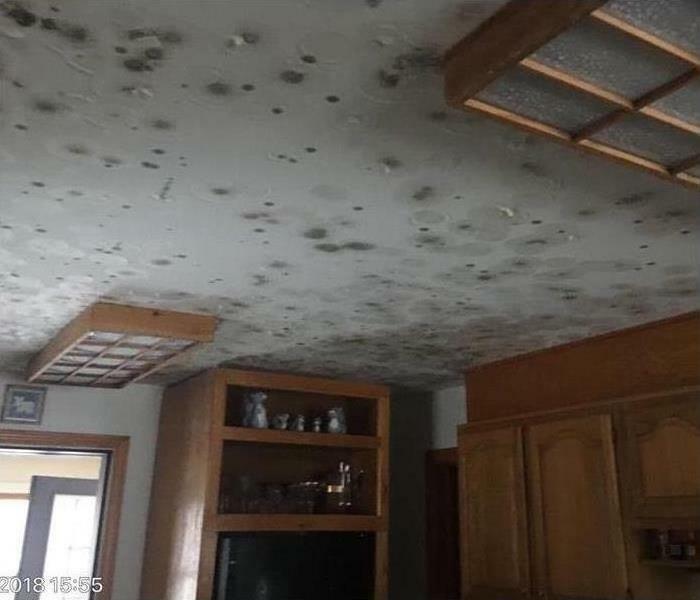 Mold is a fungus, and it spreads fast. There might be a little mold growth behind walls, but it might have started because of a leak or improperly dried flood damage cleanup and spread throughout the walls in a matter of days. Mildew, dry rot, and fungus are all signs mold is an issue in a home or office. Mildew grows in the same conditions as mold. Dry rot requires ample moisture to form, and both mean anyone might have far more mold damage than they previously imagined. There are a many reasons no one should ever attempt to remove mold without a restoration company present to help with mitigation and remediation. When people attempt to remove mold on their own, they risk sending mold spores into the air so they can spread more quickly. It’s best to let the pros handle this with their equipment. What people should do to help is turn off the HVAC system so mold spores in the air aren’t able to travel throughout the ductwork into other rooms and cause bigger mold problems. If there is a flood or leak, it’s imperative anyone with mold in the home or commercial mold damage has the water removed and everything dried immediately. Removal of water as soon as possible can minimize the risk of mold growth or stop it altogether. Allow the pros to help with mold damage using equipment that finds it at the root and helps with the deodorization process to make home or work safer and more appealing. In the event your Scarborough,ME, business has experienced flooding then you may be wondering what exactly may be included in your flood insurance policy. Fortunately, while insurance policies may vary, many contain similar coverage. Most commercial insurance policies will cover the cost of damages to your building and any contents in the event of a flood. In some cases, they may even recommend a water damage restoration service to conduct the cleanup and repairs. These services may also be able to restore electronics or any documentation that may have been damaged as well. In many cases flood insurance will not cover business property located outside the building. This can include company vehicles or any landscaping. Most insurance policies also do not cover flooding caused by neglect. This means that it is the businesses responsibility to conduct any repairs as soon as a problem is found. Losses to the business caused by having to shut down for repairs may also not be covered. Many parts of your insurance policy may be impacted by your flooding risk. Factors that could play into your flood risk include the location of your business, and average weather type for your area. if the business is built in a flood zone or you experience heavy rains regularly, you may want to purchase extra coverage for anything not included under your policy. Knowing what's contained in your flood insurance policy is the responsibility of the policyholder. However, many flood policies contain similar insurance coverage. These packages may include situations such a storm damages or broken pipes. It may not include property outside the building, or flooding caused by acts of neglect. To know what exactly is in your policy it is recommended that you talk to your insurance agent. A furnace is a permanently installed appliance for heating your home. If you have a furnace in your South Portland, ME, house, it is important that you keep up with regular maintenance. If you don’t, you could potentially end up with a house fire and damage that requires fire cleaning. 1. Why Do You Need Furnace Maintenance? There are two very important reasons why you need to keep your furnace properly maintained. The first is that it keeps your home and family safe. Home furnaces can potentially leak gas into your home. Because this gas is highly flammable, it could cause a fire. If this happens, you will need fire damage repair and smoke cleaning, so it is best to keep your furnace maintained to prevent this. Another reason to keep up with furnace maintenance is that it saves you money. As well as preventing the need for fire cleaning and repairs in case of a fire, maintaining your furnace ensures that it is running efficiently, resulting in lower heating bills. 2. When Should You Do Furnace Maintenance? You should be sure to have maintenance done on your furnace at least once a year. The best time to do this is in late summer or early autumn before the weather has gotten cold. Because you will need to heat your home during this time, you want to make sure that your furnace is working properly and does not need any repairs before you need to use it. This should prevent any problems and keep your home safe. 3. What Should Maintenance Include? There are several things that should be included in furnace maintenance. You should check each component of the furnace to make sure that it is performing as it should. Be sure to check for any blockages or leaks as well. You should also remember to regularly replace filters to keep the appliance running well. Because a furnace can become a safety hazard and fire cleaning can be difficult, you should be sure to perform regular maintenance. If you come across black mold in your South Portland,ME home, the best first step is not to panic. While it’s important that you contact experienced mold remediation specialists to inspect and restore your home properly, there are certain actions you can take to help impede any mold growth or prevent a moisture problem from spreading. Here are three ways you can help protect your home from greater mold damage even before help arrives, creating a plan of attack to keep your mind occupied and focused on the task at hand. 1. Shut off the water supply system in your home. Before anything else happens, it’s important to shut off what could be the main culprit in creating water damage, which thereby feeds the mold. 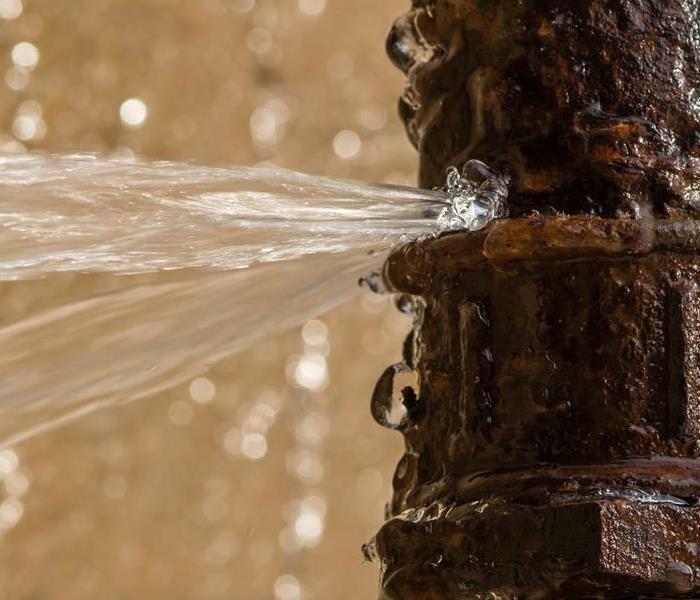 Turn off your main water supply for the time being so any leaks can be stopped in their tracks, or high-moisture areas can begin to dry out on their own. 2. Turn off your home’s HVAC system. Unfortunately, when you’re dealing with black mold, it’s not only the visible growth you need to address. Mold spores can easily travel through the air without being seen directly through your HVAC system, so shutting off any airflow halts the distance that these spores can travel, helping to secure the affected areas. 3. Stay away from any moldy surfaces so you don’t disrupt them. Coming into contact with mold can be dangerous on its own, but even attempting to move any moldy materials can allow for dusty spores to spread a greater distance. For your safety and to keep the contamination from spreading, simply close off the doors and windows in the affected rooms and wait for the professionals to arrive. Although panicking is a common reaction to the sight of black mold, gaining control of yourself by focusing on how to proceed is the best course of action for your South Portland,ME home. Mold cleanup and water damage restoration can be properly handled by highly-qualified technicians, and should therefore be left for them to manage in a safe and appropriate manner.